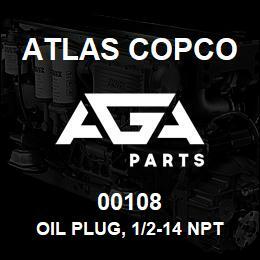 00108 Atlas Copco OIL PLUG, 1/2-14 NPT, SQ. HD. OIL PLUG, 1/2-14 NPT, SQ. HD.